Now let’s add the image background, for this I’m using this image. Now we will give this picture a fake HDR style, that will make it look more like a painting than a photography. 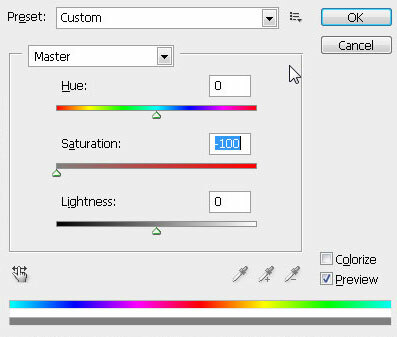 Duplicate it and hit Command + I to invert the colors, set the Saturation to -100 in the Hue/Saturation panel (Command + U) and then change its Blending Mode to Overlay. Finally Select both layers into one. 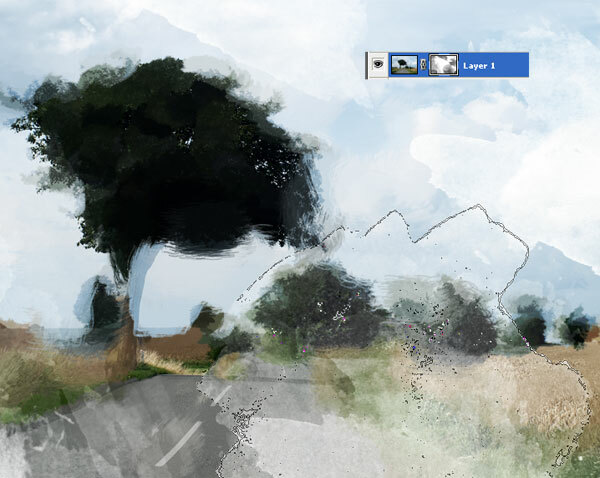 Now we will use the Art History Brush Tool (Y) to make our picture look like a painting. 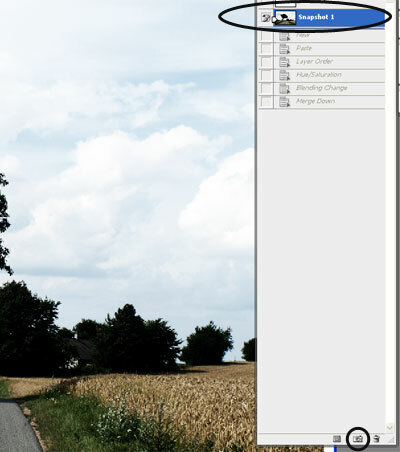 To make this wonderful feature work, you will need to create a Snapshot first to work with, for this go to Window > History to show the History Panel, and click over the New Snapshot button at the bottom. Then in the Options Panel, chose any irregular Brush Tip (I’m using a 36px Chalk tip) set Mode to Normal, Opacity to 25% Style Tight Short, Area 25px and Tolerance 0%. Then paint over the layer, you will see how the image turns into a painting fairly easily. Create a Layer Mask > Reveal All to layer, now we will try to merge the image better with the repeating background using some watercolor Brushes. 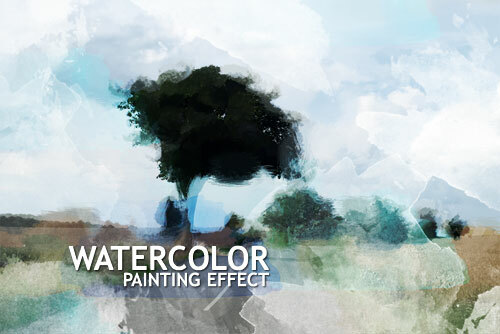 I’m using this Watercolor brushes set. Grab any of the brushes, set the foreground color to Black and paint some marks directly over the Layer Mask, which is important. 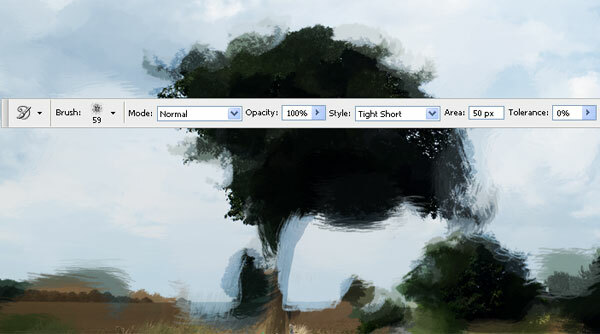 These brushes have different opacities so you can play with them; in case you’re using another brush set, you must change the Brush Opacity and Flow values every time you paint a mark. Enjoy! And do not forget to subscribe to the news.